There were a few surprises in the category; LucasFilm's Strange Magic was not submitted, despite having a wide release early in the year. It's poor critical showing combined with not spectacular box office meant it was never a major contender, but it was still expected to be submitted. 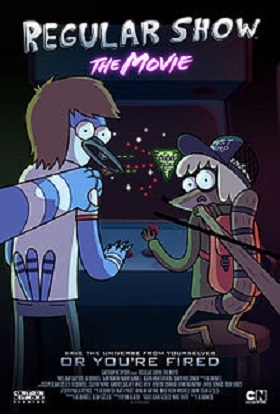 One title to pop up unexpectedly was Regular Show: The Movie, which was considered by many to be a TV movie only. However, it did have a week long qualifying run back in August, a week before it's television debut on September 1, meaning technically it is more qualified at the moment than more expected contenders than Pixar's The Good Dinosaur, which will have its theatrical release later this month. At this time, Inside Out is the front-runner to win; it even has more than a few pundits positing it might become the fourth ever animated Best Picture nominee. At the moment, I'm currently predicting Anomalisa, The Good Dinosaur, The Peanuts Movie, and Shaun the Sheep Movie nominated with Inside Out winning (The Prophet being the nominee alternate, with The Good Dinosaur the weak link, and Anomalisa being the very unlikely winner alternate). Don't the Boovs of "Home" and the yellow minions of "Minions" count as anthropomorphic animals? Anthropomorphic, yes. Animals ... not really any specific type. Home also has Pig the cat, who is an animal, but not really anthropomorphic. The link for "Strange Magic" takes you to the imdb page for Smurfs 2. Whoops. Not my day for links; fixed now.